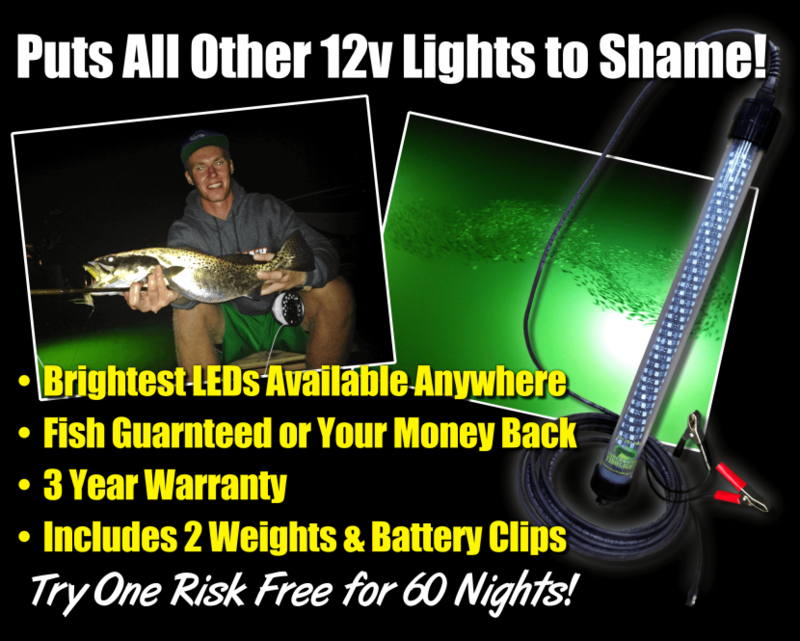 The Brightest Most Effective LED Fishing Lights Available Anywhere! While our HID Fishing Lights are still the brightest and most effective fish attracting lights on the market, we know that not everyone has access to AC power on their boat, secret spot, or fishing pier. We craeted a 12v system worthy of being called an Underwater Fish Light. Fish Attracting Power in a Convenient 12v Underwater LED Fishing Light Package! With our reputation on the line, we knew that we couldn’t just sell the same old 12v lights offered elsewhere, so our engineers went above and beyond to build the Ultimate 12v LED Fishing Light Systems available with a wide assortment of accessories, these super powerful LED Fishing lights are available with options to fit almost every need and application. Our LED Fishing Lights offer huge power in a compact package with true 360° coverage! For our innovative design, we use the brightest LEDs in the world as the foundation and assemble them with the same high standards as all of our professional-grade lighting products. These lights are significantly brighter and more compact than the competition. Don’t be fooled into thinking that the length of a light determines the brightness. Our designs are brighter than other lights with over 3x The Length! Why settle for vastly inferior alternatives when our game-changing designs clearly outshine the competition and are built tough for years of trouble-free enjoyment. The compact design outshines larger lights. At only 23 inches, these lights are easy to transport, handle, and deploy, but don’t let the small size fool you. They are much brighter than many other lights that are twice as long! We include two different weights with each light to allow you to either sink it to your preferred depth, or keep it up near the surface to give you maximum flexibility. 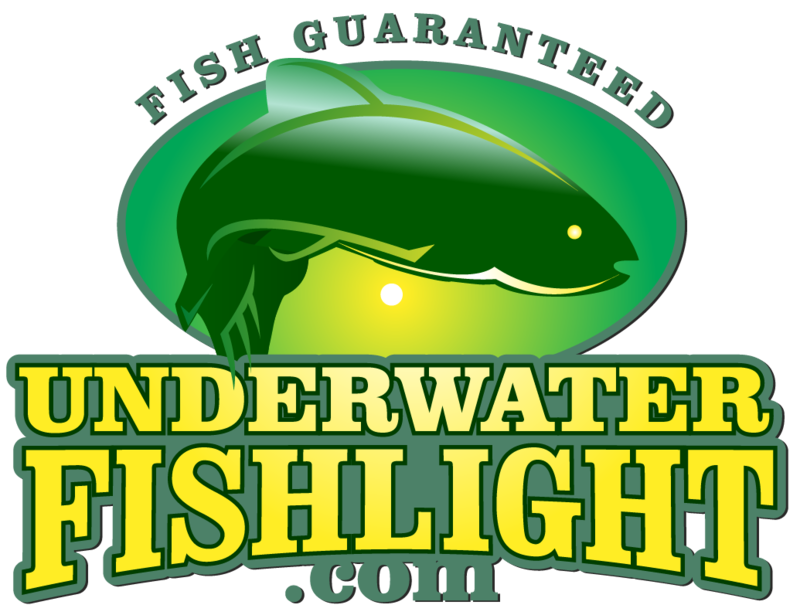 12v LED Fishing Lights Rated for 30,000 Hours! Energy Efficient and Long Lasting! We warranty all of our lights for a full three years, but it is unlikely thaty you’ll ever wear this one out. The LEDs are rated for over four years of continuous use. The brightest LEDs available anywhere! Don’t be fooled by cheap knock-offs! Our lights feature the brightest LEDs available on the market and outperform larger and more expensive systems. Will These 12v LED Fishing Lights Work as Dock Lights? These lights will come equipped with battery clips, for easy connection to your 12v power source, and are intended to be used as a 12v portable solution to attract fish in just about any waterway. While no 12v light can compare with the awesome power of our HID systems, these lights finally enable those without access to AC power to attract fish with great effect. Our dedicated dock light systems are self-cleaning and specifically engineered to be left in the water for years. They automatically turn on at dusk and off again at dawn. These LED Fishing Lights are designed to be used while actively watching or catching fish, and stored when not in use. If you’re curious as to why we do not offer LED dock lights, click the link below to learn more. Why Aren’t LEDs Suitable for Dock Lights? Our 12v Underwater Fishing Light Works Great for Spotting Lobsters Too! Customers in the Florida Keys can’t stop raving about how well these LED Fishing Lights work for spotting lobsters. Whether you’re bully netting, or diving, these lights will illuminate the bottom and give you an unfair advantage. Catching Shrimp By Hand ! Check out this customer using our LED Fishing Lights to catch shrimp by hand in Boca Grande!